Kenco, the coffee brand owned by Mondelez, has appointed Proximity London to manage the communications account for its Kenco Rewards programme. Proximity was awarded the business after a competitive pitch against the incumbent, the brand activation agency Arc London. The BBDO-owned agency will now oversee strategic management, creative platform, operational running and data management for Kenco Rewards Club, an on-pack loyalty scheme launched in 2012. 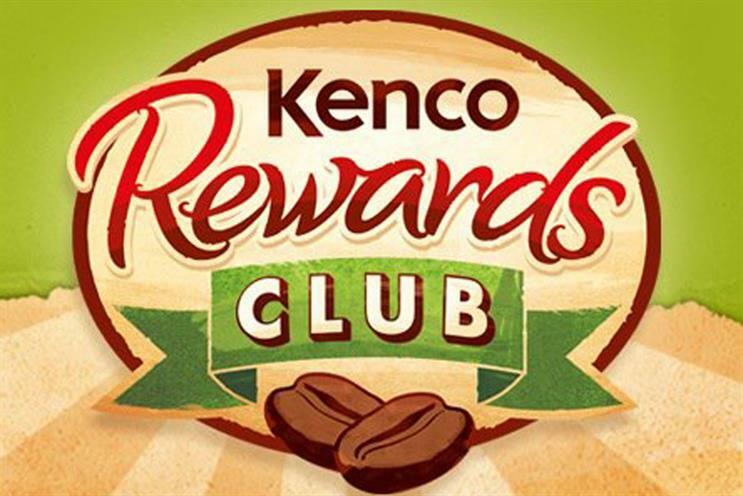 The rewards scheme allows consumers to claim eco-friendly rewards through collecting points by buying Kenco. Proximity has added the rewards business to the Kenco account for social, web and CRM, which it won in a competitive pitch last year. The latest win means Proximity now holds all of the digital business for Kenco, which is a UK-only brand. Emily Woodward-Smith, the assistant brand manager at Kenco, said Proximity delivered a "truly inspiring pitch". She said: "We loved the way they went beyond traditional thinking to deliver new ideas that were unique and engaging, but rooted in solid insight and strategy." In a separate win earlier this month, Proximity was reappointed to Mondelez’s European digital roster, alongside AKQA, We Are Social and Vice. Proximity was the only agency to retain its position on the roster after the competitive pitch process. Mondelez, which owns brands such as Oreo, Mikado and Cadbury, divided its roster into full-service digital agencies for priority brands, including AKQA and Proximity, and a specialist roster, which is made up of Vice and We Are Social. Sonia Carter, the head of digital and social marketing for Europe at Mondelez, said "connections planning" was key to Mondelez’s marketing. Carter said: "We needed to find the right digital partners, who would collaborate with our creative and media agencies to design and execute brilliant plans. "Simply put, they all understand that their role at Mondelez International is to design digital ideas that meet business objectives by reaching and engaging millions of consumers."